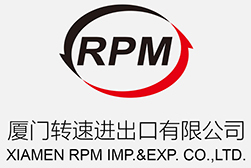 Rimpex Rubber supplies waste tyre recycling rubber powders production line with video show here. The deposit is 40% of whole price, Then the 57% of whole price should be paid on delivery, The left money should be paid within 6 months after finishing test. The daily travel expense of our engineers abroad should be paid by customer according to 25 US$. Furthermore, the customer should accommodate our engineers. The task of our company's engineers is mainly to test equipments and instruct customer's staffs; The installment and carry of the equipments should be done by customer's staffs. Our engineers will instruct the customer's staffs in their plant. VI. The cost of 1 Ton 5-100 mesh rubber granule or powder in China. Under guarantee, Our company will change or repair the damaged equipment for free if them have deficiency of design or manufacture. We may design the layout of production line according to the customer's plant. X. Waste radial tire contains approx 85% rubber.